The film has the plot based on the attacks in Mumbai from 26th November 2008 to 29th November 2008 that terrorize our country India killing 164 people and wounding nearly 300. We all know the facts and the figures of those incidents from newspapers and media. The film shows the narration of the incidents that took place on that night by the Joint Commissioner of Police before an investigating Committee. 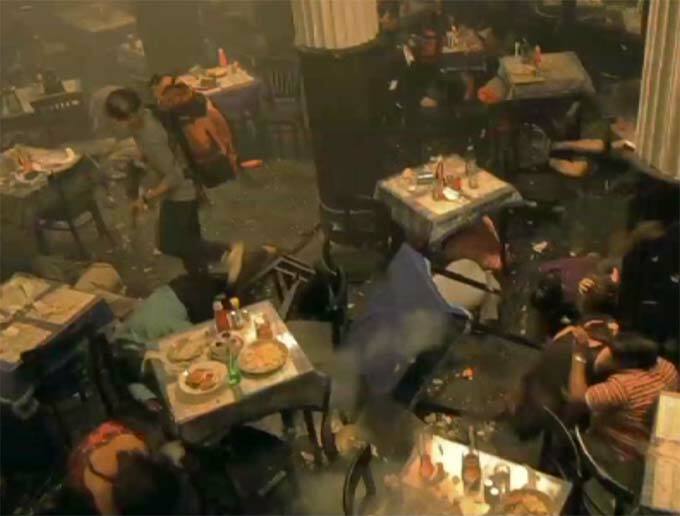 Then it shows a series of flashbacks that picturizes the events which started from the shooting in Leopold Café of that night. The ten young men from Karachi, Pakistan travelled by sea, hijacked the Indian fishing trawler 'Kuber', killed the crew of four, then forced the captain to sail to Mumbai. After murdering the captain, the attackers entered Mumbai through Colaba by inflatable speedboat. The murder of the captain is shown in a gory way that remains with us for some more minutes. The local fishermen’s suspicious looks are also recorded. The film then moves with the two gun men to the Leopold Café, where the first shoot out took place that killed 10 people. 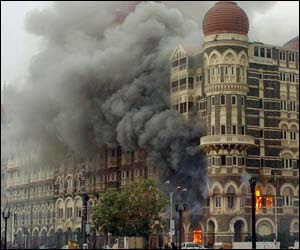 Then they visualized the Taj Hotel attack where 32 people got killed by another two gun men. A left out child in the shootout in the Taj Lobby makes a shrill cry and the killing of the child which is not shown visually, but by cutting the child’s cry passes chillness through our bones. Next one at Chatrapati Shivaji terminal is picturized. The shooting spree of the two terrorists shown for a long time in the film. The gunmen’s rapid and vengeful act of shooting gives a nauseating sense within us. In the next shoot out in Cama Hospital took the lives of four police officers where one officer alive informed about the whereabouts of the gunmen. At the end of the chase kasab got held. The movie travels thru the investigation and ends with kasab’s hanging. Credit goes to the Director Ram Gopal Varma who lined these events in a watchable way. We leave with a heavy heart after watching the movie and the grave punishment given to the lone survivor among the gunmen is justifiable. When a real time story is filmed, it’s in the Director’s touch that makes us watch without exhaustion. Ram Gopal Verma succeeded in that sense. Although the film didn’t cover up the whole three days siege, but woven in a way that we cant see the missing period. 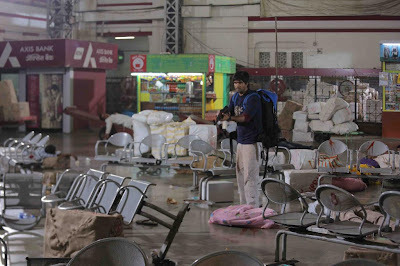 It mainly follows Kasab’s trail that he being the lone survivor of the shootout. 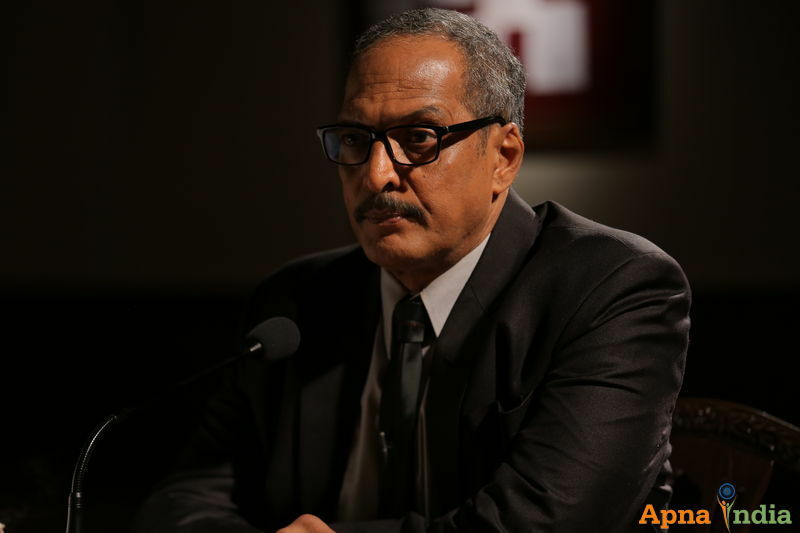 Narrated and acted by Nana Patekar as the Joint Commissioner Of Police, who was incharge of the investigation. When his voice narrates the incident we are impressed by the sensitiveness and it captivates. It’s a welcoming treat, when he breaks his silent investigation with kasab and unleash the reality of the verses he once dictated and bruised him over the bodies of his fellow countrymen. Classic and not over-acted. He performed on his best and shows his anger in a voluble way that we also went through his way of investigation. And the man who played the terrorist Ajmal Kasab is Sanjeev Jaiswal and this is his debut. He brought down the shades of terrorism well in his face and he played the fiddle good that we pitied him when he sobs over his fellowmen's corpses. This film shows the vulnerability our country faces in terms of security. 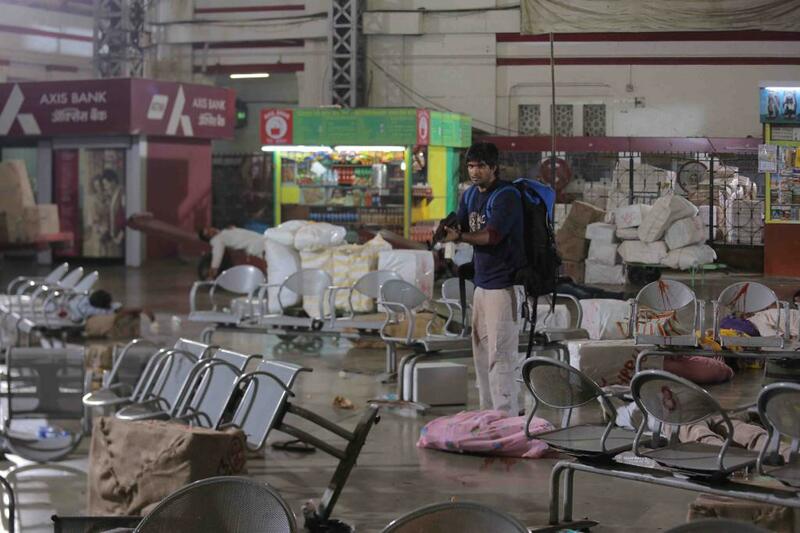 But it also gives the glimpse of bravery by the not-so-trained policemen when they faced the terrorism in face. It points out that equipping and training of the security forces is the need of the hour. This movie re-remembers the attacks and the people who lost their lives, the injured and the people who fought brave to death. It simply narrates and kindles our patriotism a little, but paints a shocking picture of the terrorism. Reminiscing a legend means adding up to your knowledge and the cheapest entry ticket makes it possible for almost everyone to enjoy it. And prohibition of pictures is the best so that people can concentrate Better on the lecture.